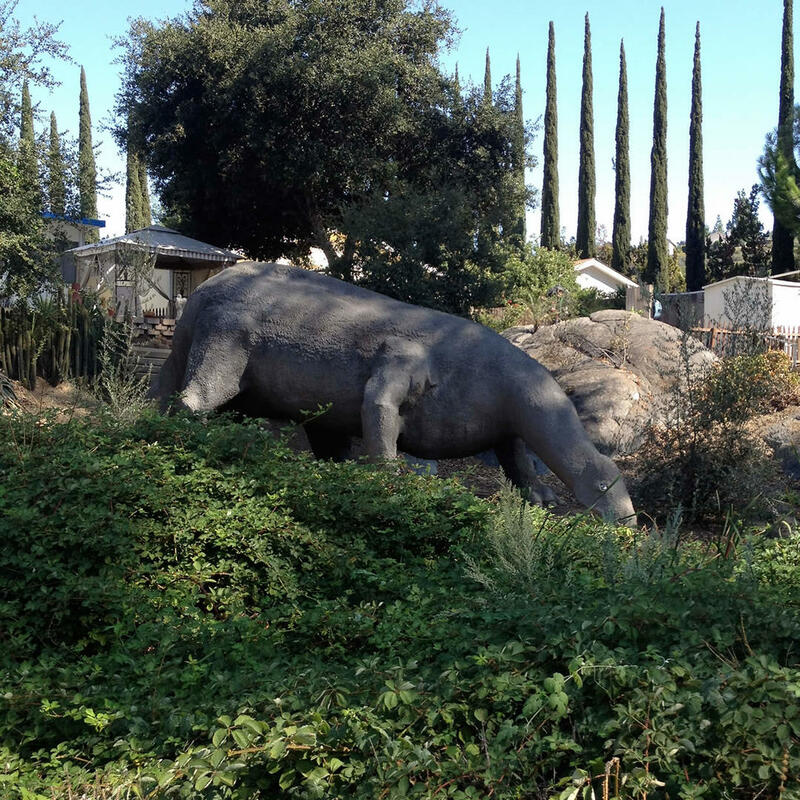 You might feel like you’ve fallen into the “Land of the Lost” as you go looking for remnants of Dinosaur Land, a 1960s amusement park populated with life-size fiberglass dinos that went into bankruptcy after being open a few years. A mobile home park later opened on the same site, eventually crowding out most—but not all! —of the dinosaurs. You may need to knock on a few trailer doors to find “Dinosaur Bob,” the last remaining full-size sculpture.